Day 25: Love finds goodness. I have to admit, I struggled with this verse when I was fleshing it out, trying to put into words what it means. All I could think was that true love looks past the faults of the people we love, and looks for the goodness in them. The matter of its joy and pleasure is here suggested: 1. Negatively: It rejoiceth not in iniquity. It takes no pleasure in doing injury or hurt to any. It thinks not evil of any, without very clear proof. It wishes ill to none, much less will it hurt or wrong any, and least of all make this matter of its delight, rejoice in doing harm and mischief. Nor will it rejoice at the faults and failings of others, and triumph over them, either out of pride or ill-will, because it will set off its own excellences or gratify its spite. The sins of others are rather the grief of a charitable spirit than its sport or delight; they will touch it to the quick, and stir all its compassion, but give it no entertainment. It is the very height of malice to take pleasure in the misery of a fellow-creature. And is not falling into sin the greatest calamity that can befal one? How inconsistent is it with Christian charity, to rejoice at such fall! 2. Affirmatively: It rejoiceth in the truth, is glad of the success of the gospel, commonly called the truth, by way of emphasis, in the New Testament; and rejoices to see men moulded into an evangelical temper by it, and made good. It takes no pleasure in their sins, but is highly delighted to see them do well, to approve themselves men of probity and integrity. It gives it much satisfaction to see truth and justice prevail among men, innocency cleared, and mutual faith and trust established, and to see piety and true religion flourish. Turns out I wasn’t too far off the mark in my understanding. Look past the faults of those we love. Don’t revel in their failings. 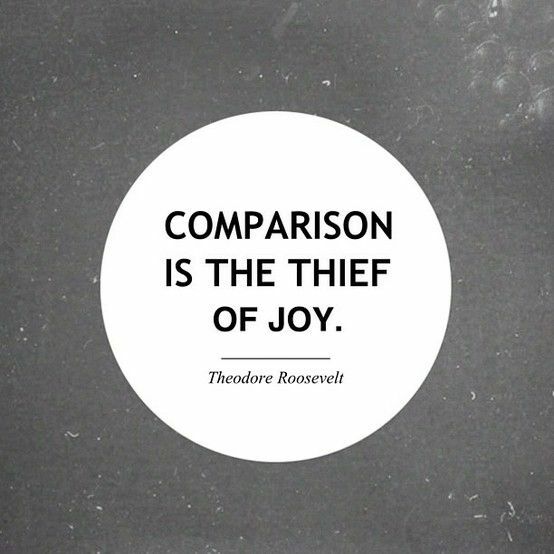 Delight in their strengths and goodness. Find the goodness and ignore everything else. We’re at the end of 1 Corinthians 13:5 – “Love……..it keeps no records of wrongs’ (NIV). This is what love doesn’t do. It is very easy to hold a grudge against someone, to not forget when they hurt us, or do the wrong thing by us. We are wronged by people every single day. Usually by more than one person. If you think about it, that’s a lot to hold on to. And keep track of. And think about what they should do to make it up to us. Love doesn’t keep record of how people hurt us. I can’t cover forgiveness in one topic, but the best explanation I’ve heard of forgiveness isn’t saying to someone ‘it’s ok’ or ‘it doesn’t matter’, it’s saying ‘you don’t owe me anything anymore’. It’s saying to the other person ‘yes, you hurt me, but you don’t need to make up for it, I release you of any obligation’. It’s not just forgetting what happened, and it doesn’t mean that work doesn’t have to be done to repair the damage in a relationship, but it’s letting go of a continual expectation on someone that they have to ‘pay’ for what they’ve done. And if you’re keeping score, holding things against people for how they’ve hurt you, and expecting them to ‘pay’ for it, you can guarantee that there are a whole lot of people out there thinking the same of you. How much easier would it be to just let it all go? To just drop what we’re carrying, because really, carrying stuff around is really hard work – emotionally as well as physically. 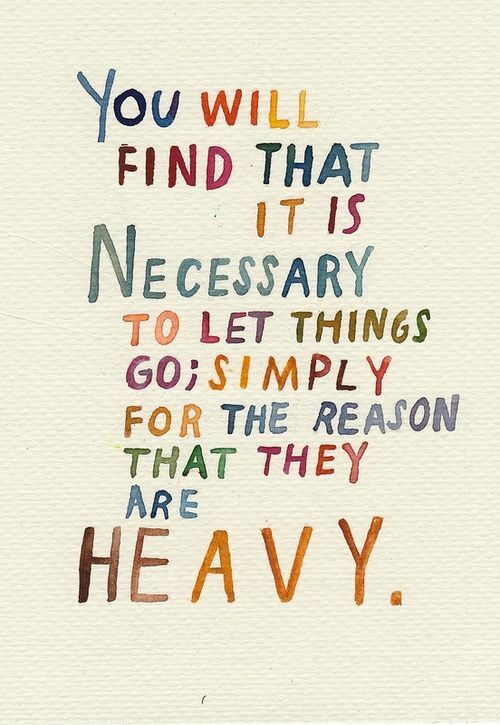 I once heard Dr Phil say that carrying emotional baggage is like having a pair of suitcases that you carry around with you all the time, constantly following you from place to place and they get really heavy. 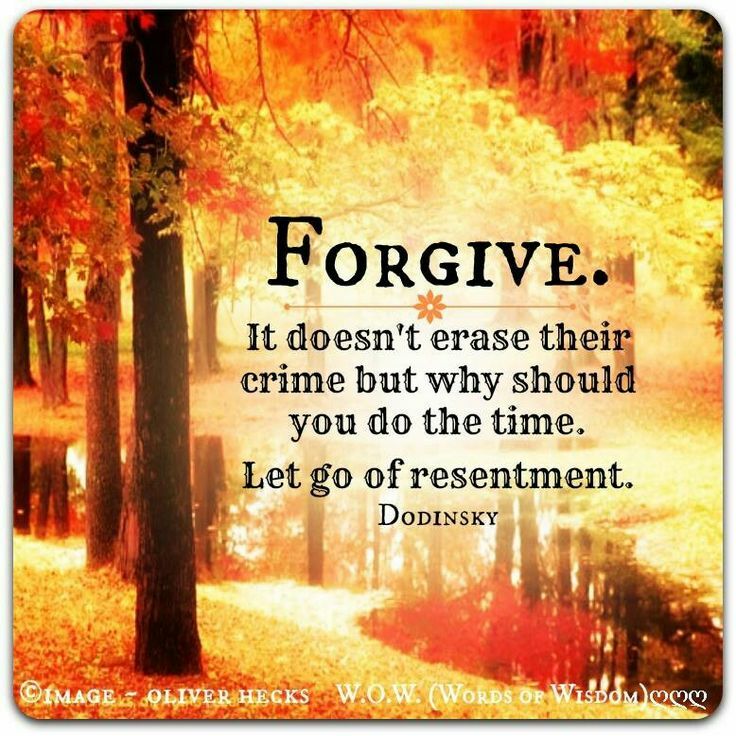 How much easier would it be to put the suitcases of unforgiveness down and just walk away? In the Lords’ prayer Jesus says we are to ask God to ‘forgive us our sins, as we forgive those who sin against us’. Forgiveness is a directive from God. 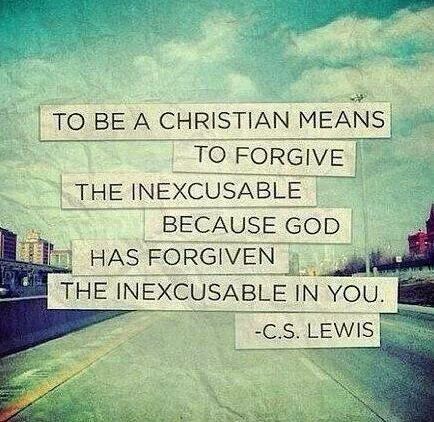 Forgiveness is one of the foundations of our faith. 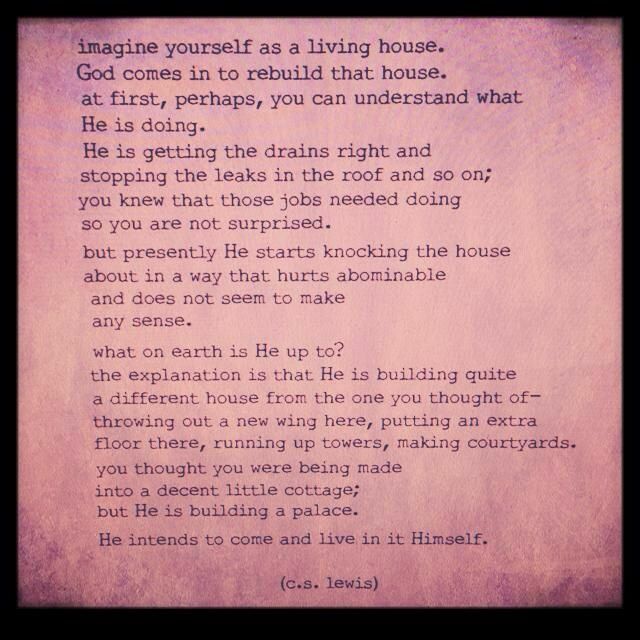 We are created in the image of God, and we are to live like Jesus. The cornerstone of our salvation is that Christ forgives us for our sins, so if we are created to be like Him, that means we have to forgive those who sin against us, who wrong us, who hurt us. This life of real love is not an easy one, and unforgiveness is one of the main barriers we come up against in our relationships. Forgive someone, and the walls come down. Put your pride aside, turn away from your self-righteousness and sense of entitlement, and just let go. It’s what God does for us (without the pride and self-righteousness). He just lets go of everything we do that hurts him, and because of that, we know true love. I would like to say that’s me, that I’m slow to anger and always able to keep my emotions in check. I’m not an angry person, I can say that much. But there’s a lot of ‘displeasure and antagonism’ that goes on in my head that takes a lot of effort to not let It out of my mouth, and at the end of the day, it still has a similar effect. 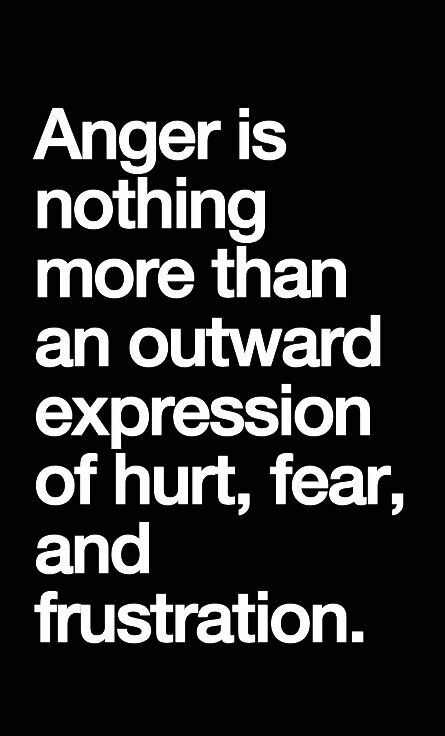 because anger affects us and hurts us more than the person it’s directed at. Yes, we can say ‘they made me angry’, but really, no-one can make us feel or do anything. How we respond to anything is entirely up to us, and we have to live with our responses. When we act in anger toward someone else – in any degree – it causes them pain. It is easy to give into feeling angry and responding in a way that blames someone else. It is more difficult to look at why we’re feeling the way we do, and tempering our emotions and responses in a manner that won’t hurt someone else. Anger results from something that happens that actually causes us to feel emotions that we’re not comfortable with – pain, fear, confusion, loneliness, shame, sadness. Rather than look closer at what we’re really feeling, and why we’re feeling that way, we respond in anger and end up hurting someone else in the process. You could say getting angry is an avoidance process – blame someone or something else rather than look at ourselves. Being angry with people is never helpful. Being angry ranges from that feeling of frustration (displeasure) over the dishes not being done and grumbling about it, to the extreme of becoming physically and verbally violent and causing great damage. In both scenarios, we have to live with what we’re thinking and feeling, and we’re the ones who have to live with the discomfort that anger brings. For me, there’s a lot that goes on in my head that I don’t verbally or physically express when I get angry, but I still have to deal with those feelings regardless. When I yell at my kids, it’s about me, not them, and whilst I might feel better for about 30 seconds, I feel worse for a lot longer because I know I haven’t acted in love. When I sit and stew over someone I have to deal with who’s particularly frustrating, I’m the one who had to deal with how I’m feeling, and they never even know what’s gone through my head. When I don’t keep myself in check and I speak before I think in the heat of the moment, I have to live with not only what I’m feeling that caused me to speak words that wound, but I then have to live with knowing that I hurt someone. I have found that breathing and counting is a wonderful tool for dealing with anger, as simple as it sounds. Count to 5 and breathe deep before responding. This small pause in time prevents pain and wounding, for both myself and the people I love. What are your ‘hot spots’ when it comes to anger? How do you deal with it?